Therapeutic antibodies have heterogeneities in their structures, although its structural alteration in the body is unclear. Here, we analyzed the change of amino acid modifications and carbohydrate chains of rituximab after administration to patients. Twenty B cell non-Hodgkin’s lymphoma patients who were treated with rituximab for the first time or after more than one year’s abstinence were recruited. Structural analysis of rituximab was carried out at 1 h after administration and at the trough by using liquid chromatography/time-of-flight-mass spectrometry. Plasma rituximab concentration and pharmacodynamic markers were also determined. Of recruited twenty, 3 patients exhibited rapid rituximab clearance. Nine types of carbohydrate chains were detected in rituximab isolated from the blood. The composition ratios in some glycoforms were significantly different between at 1 h after administration and at the trough, although consisted amino acids remained unchanged. The patients with high clearance showed extensive alterations of glycoform composition ratios. However, pharmacodynamics makers were not different. Inter-individual variations in plasma concentrations of rituximab were found in some B-NHL patients. We could analyze a change in glycoforms of rituximab in the patients, and this finding may affect the pharmacokinetics of rituximab. Atushi Yonezawa and Yuki Otani contributed equally to this work. The online version of this article ( https://doi.org/10.1007/s11095-019-2624-5) contains supplementary material, which is available to authorized users. 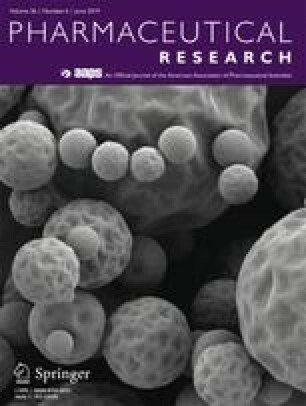 This work was supported by the Research on Regulatory Harmonization and Evaluation of Pharmaceuticals, Medical Devices, Regenerative and Cellular Therapy Products, Gene Therapy Products, and Cosmetics from the Japan Agency for Medical Research and development, AMED, the Japan Research Foundation for Clinical Pharmacology, and the Mochida Memorial Foundation for Medical and Pharmaceutical Research to A.Y. The authors are grateful to all the medical staff of Department of Hematology, Kyoto University Hospital. All authors have no conflicts of interest to declare. All procedures performed in studies involving human participants were in accordance with the ethical standards of the institutional and/or national research committee and with the 1964 Helsinki declaration and its later amendments or comparable ethical standards. This study protocol was approved by the Ethics Committee of Kyoto University Graduate School and Faculty of Medicine and Kyoto University Hospital (E2472), and was registered at the University Hospital Medical Information Network-Clinical Trial Registry System (UMIN000016713). Written informed consent was obtained from all individual participants included in the study.